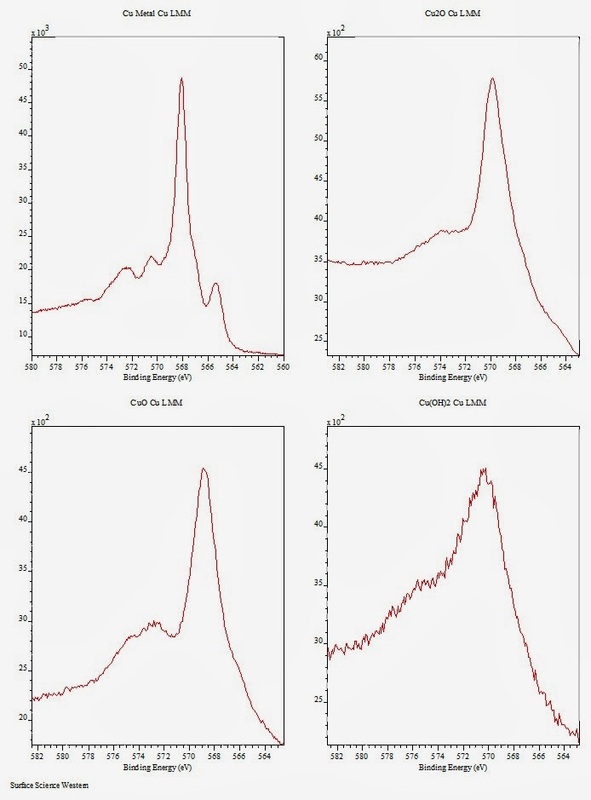 The Cu LMM peak shape (in addition to the Auger parameter and Cu 2p3/2 peak position and shape) can also be useful in determining Cu chemical states. It is particularly useful when determining Cu metal versus Cu (I) in the absence of Cu (II) species. 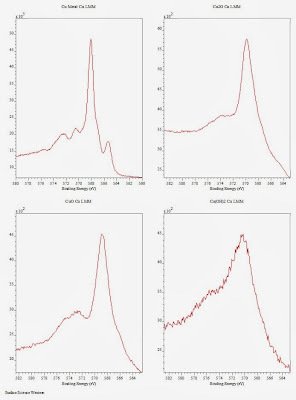 Comparison of unknown spectra to the standard Cu LMM spectra can be used to estimate the relative amounts of each. Figure 1. Cu LMM Auger spectra for Cu metal (top, left), Cu2O (top, right), CuO (bottom, left) and Cu(OH)2 (bottom, right) . M.C. Biesinger, unpublished data (2013).